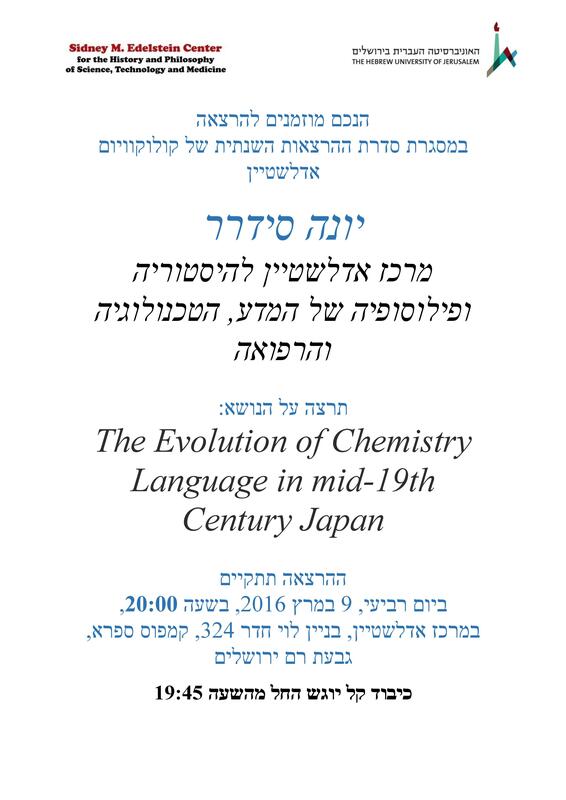 Translation of chemistry books from the West started in Japan in early 1800s to be able to confront and adapt western civilization. Udagawa YÅan (1798-1846) translated the most important book on chemistry, Seimi Kaiso, (Introduction to chemistry), published 1837-1847. For the introduction of a new discipline with a different world view, what terms did Udagawa YÅan use? Old terms or new ones? The question relates to names of chemical elements, compounds, tools, chemical processes and manufacturing methods. Udagawa YÅan used the Dutch translations of more than twenty books from Europe in his studying and writing Seimi Kaiso and other botany and chemistry books. Those books that he possessed indirectly emphasize the vast exchange of scientific knowledge among European scholars, in contrast with the work in isolation of the Japanese scholars.Â An example of YÅanâ€™s translation of Antoine Lavoisierâ€™s â€œOn the combination of light and heat with substancesâ€ will be presented. YÅan was the greatest pioneer of introducing natural sciences language and coining new terms for botany and chemistry. It will be shown that some of those terms are in use today.